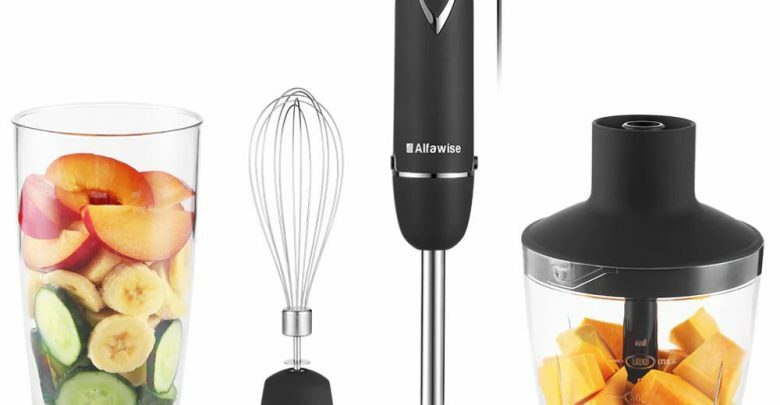 One Kitchen Tool To Do It All, introducing the Alfawise hand blender set. This gadget has more than enough features which includes stick blender, chopper, whisk and beaker. When it comes to blending, crushing, chopping, whisking to pureeing smoothies, the Alfawise blender can do-it-all. 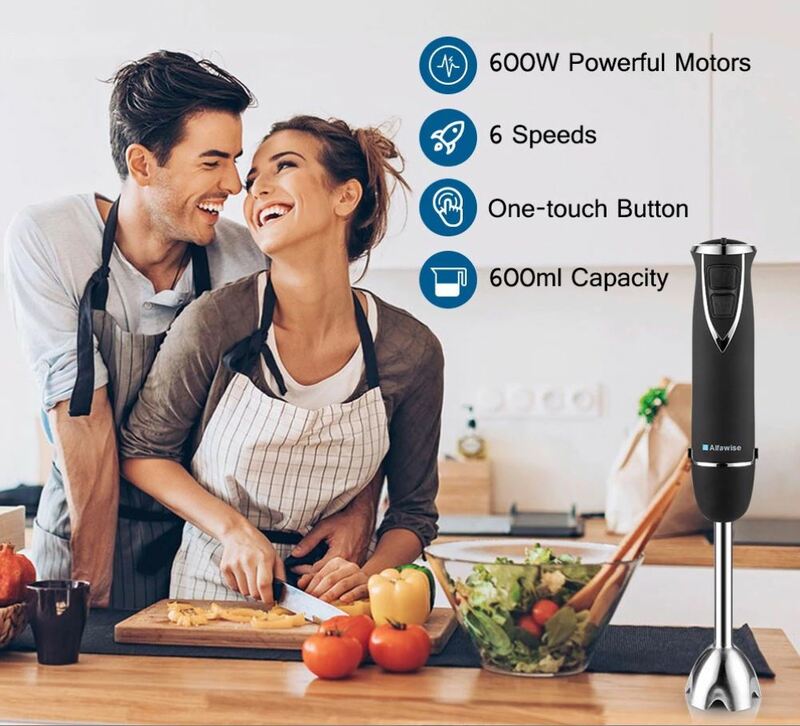 This gadget has a powerful motor and 6 variable speed ability, together it can create endless culinary creations, from light mixing, heavy whipping, mashed potatoes to strawberry daiquiris, quickly and conveniently. 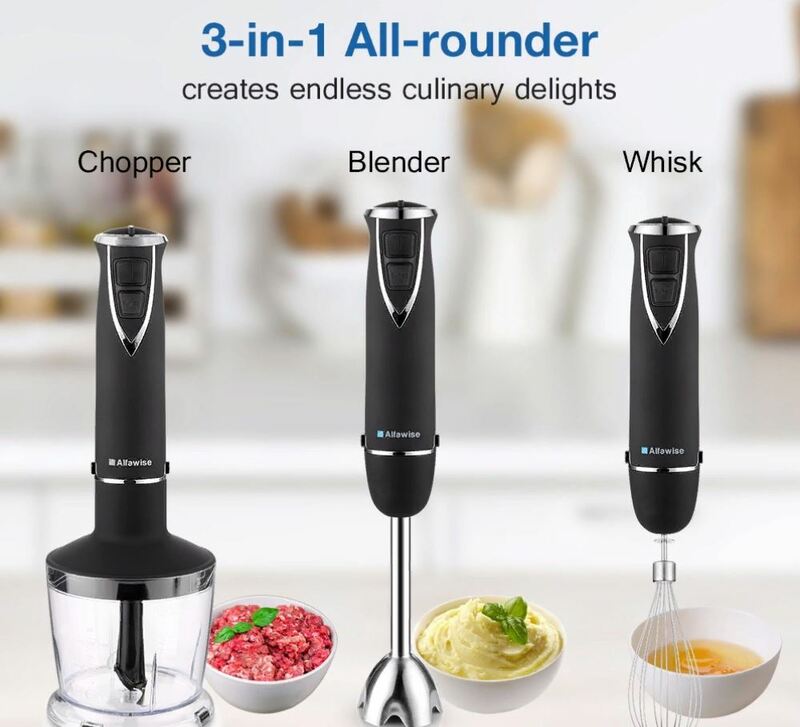 One tool with multiple abilities, the Alfawise hand blender whip,blend, mix, puree and chop with its refined stainless steel blade right into the bowl. 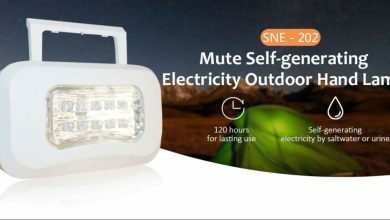 It has 600 watt mottor and 6 variable speeds that makes it faster in carrying out its duty effectively. 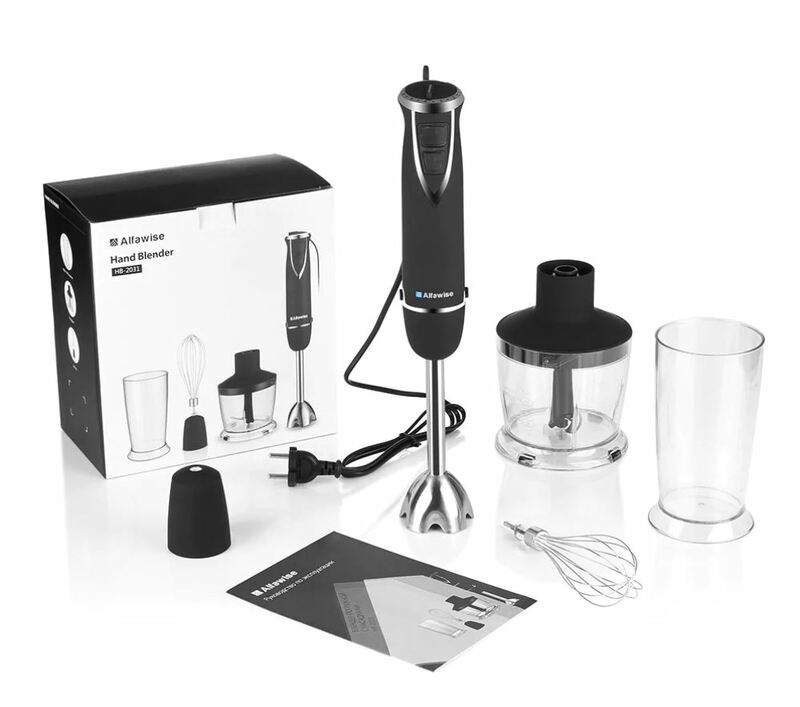 The Alfawise blender has a responsive power button, just one touch to start everything making this device very easy to use. It also has a safe dishwasher components together with an ergonomic grip and 600ml bowl capacity. The Alfawise blender has dimensions of 21.00 x 5.80 x 5.80 cm and weighs 1,490 Grams. This device creates endless culinary delights. The Alfawise hand blender is currently available On Gearbest for $30.99.